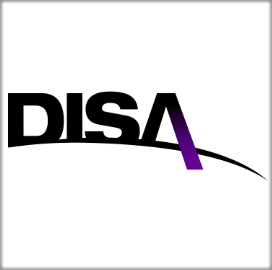 The Defense Information Systems Agency has awarded eight companies spots on a potential five-year, $137 million contract to provide spectrum engineering and operational spectrum support for the Defense Spectrum Organization. DISA awarded the indefinite-delivery/indefinite-quantity, firm-fixed-price contract through a competitive procurement process with 10 offers received, the Defense Department said Wednesday. The multiple-award, cost-plus-fixed-fee contract also covers electromagnetic environmental effects support, analysis and research work on emerging spectrum platforms, and strategic spectrum planning services for DSO. The contractors will perform work in Maryland under the contract, which has a base term of one year that will run through May 31, 2017, as well as four option years. DSO oversees the use of electromagnetic spectrum for DoD and manages the development of technological standards and policies to help facilitate use of EM spectrum in navigation, communications and weapons systems.